Fotoinmunoprotector extreme protection against UV (A + B). 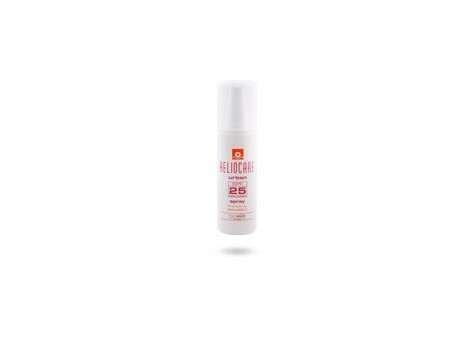 Spray extreme protection and high tolerance, which allows use on all skin types: normal, mixed and seborrheic and in hairy areas. Its easy extensibility allows comfortable application and product distribution even in large areas, suitable for outdoor activities. Indications: Body photoprotection. Especially suitable for sensitive skin and children. Skin and male athletes. Remarks: external use. Avoid contact with eyes and mucous membranes. Keep out of reach of children. How to use: apply evenly on the skin before each sun exposure. Reapply frequently after prolonged sun exposure or bathrooms. Presentation: 125 ml spray. Ingredients: Aqua. Cyclopentasiloxane. 4-methylbenzylidene camphor. Octocrylene. Titanium dioxide. Hexylene glycol,. Zinc oxide. Alcohol denat. Cetyl dimethicone copolyol. Isohexadecane. Polypdium leucotomos. alumina. Cetyl dimethicone. Sodium lactate. Camellia sinensis. Methylparaben. Dimethicone / vinyl dimethicone. Crosspolymer. Propylparaben. Simethicone. Parfum. BHT. Disodium EDTA. Dimethicone glycerin. Acrylates / octylacrylamide. Copolymer. Triethanolamine. Hectorite. Etylhexyl methoxycinnamate. Styrene / acrylates copolymer. Carpylic / capric glyceride. CI4-22 alcohol. C12-20 glucoside ALCyL. Planttori extract.